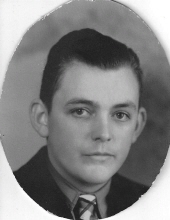 Donald R. Sawyer, 100, longtime resident of Milford, NH died on January 11, 2019 in Milford, NH. He was born on February 10, 1918 in Portsmouth, NH, a son of Arthur and Beatrice (Smart) Sawyer. He was raised and educated in Portsmouth and made his home there until moving to Milford in 1973. Don had been employed as a machinist at the Portsmouth Naval Ship Yard for 20 years and had also worked at General Electronics, Boston, MA and Warren Machine Company, Milford, NH. He was a champion horseshoe pitcher for 19 years and a lifelong member of Nashua Horseshoe League. He loved traveling to Europe, the Islands and to many of the states here in the United States. He also enjoyed spending time at the dog tracks. Donald was predeceased by a grandson, Jason Hilton of Merrimack,, NH. Family members include his wife of 50 years, Irene (Kramer) Sawyer of Milford; three daughters, Nancy O’Neill of Portsmouth, NH, Patricia Gay of Milford, and Gail Sprague of Merrimack, NH; six grandchildren and their spouses, Rick and Betsy Gay of Manchester, NH, Scott and Kelley Gay of NC, Brian and Tanya Gay of Merrimack, NH, Kim and Bill Sherman of Merrimack, NH, John Hilton of Weare, NH and Joseph O’Neil of Portsmouth, NH; and ten great grandchildren. There are no visiting hours. Funeral services will be held at a later date. Funeral services will be held a later date. "Email Address" would like to share the life celebration of Donald R. Sawyer. Click on the "link" to go to share a favorite memory or leave a condolence message for the family.